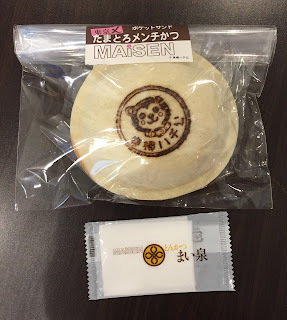 Maisen (まい泉) is a chain who sells Tonkatsu (pork cutlet), other fried food and runs restaurant founded in 1965. 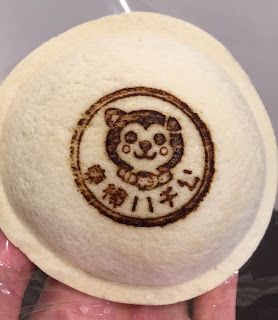 I've had their Katsu Sando, which is a sandwich made with Tonkatsu and sauce, but they also have Pocket Sando at some locations and each has different ingredients and some use special hot iron branding. 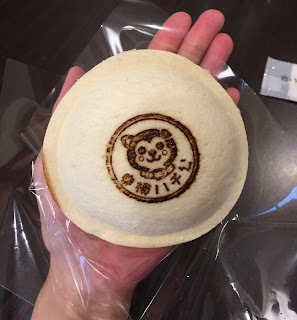 Shibuya Tokyu Food Show location uses Hachiko branding, and I went to the specific branch to get the Pocket Sando. 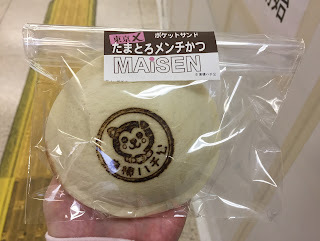 It's on the B1 floor of Shibuya Tokyu West building, but it's connected to Shibuya Tokyu Norengai (渋谷東急のれん街), where they have another Maisen shop. 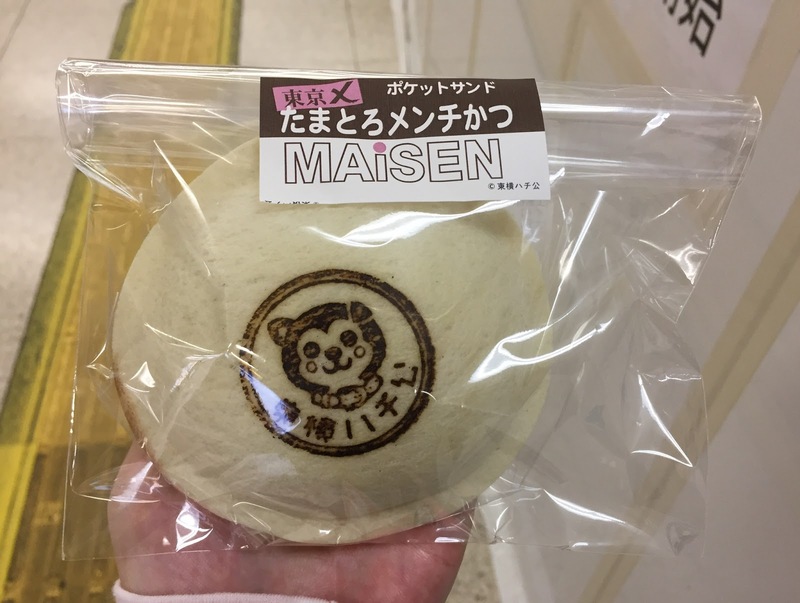 First, not knowing the difference between Norengai and Food Show space, I went to the Maisen in Norengai and told the Pocket Sando was only available at the Food Show branch, so I walked through the passage and went to the correct location. When I got there at 10:50 AM on a weekday, there's a display for Pocket Sando but no sandwiches were placed. But it's not sold out but they're packing the sandwiches. 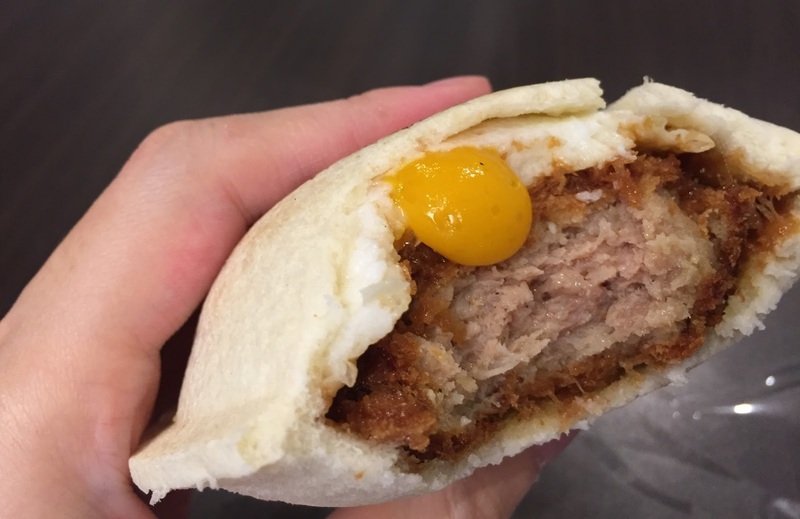 Pocket Sando consists of Katsu (cutlet), sauce and Tama-Toro, the last of which is an egg with runny yolk, between Maisen's bread. 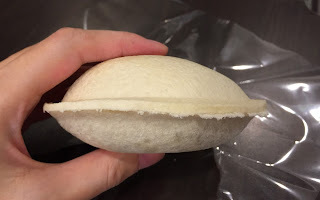 Tama-Toro is a made-up word meaning "Torotoro no Tamago," runny and creamy egg. 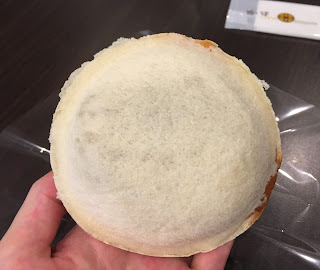 It's pressed in a special toaster and the sealed edges help to hold the contents well. Tokyo X is a Tokyo brand pork which took 7 years to create, and this Tokyo X Pocket Sando is solely sold at Shibuya Tokyu Food Show. They put a wet towel as usual. This circle Pocket Sando was weighty. Hachiko had a folded ear on his left, and the bottom says, "Toyoko Hachiko." 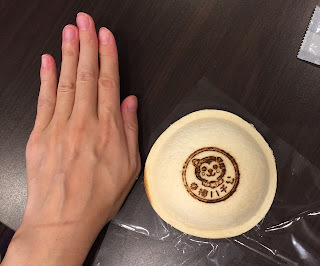 It's about 10cm (3.93 inch) in a diameter. When I looked it from the side, I could easily tell there's a lot of filling. 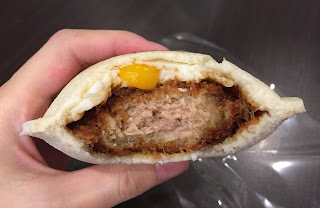 First bite reached sweet and salty sauce with Menchi Katsu (bread and fried ground meat with some vegetables) and chewy egg white. 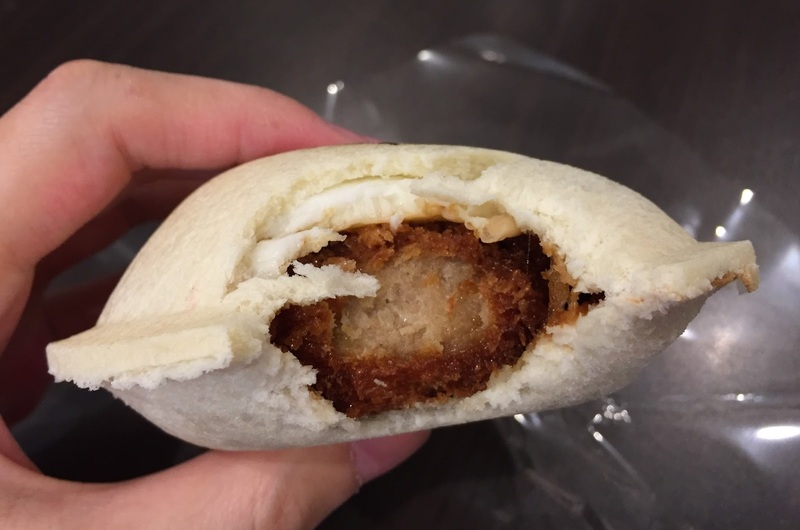 Menchi Katsu was 2-3cm (0.78-1.18 inch) tall, juicy, and not too soft, and it had some texture. 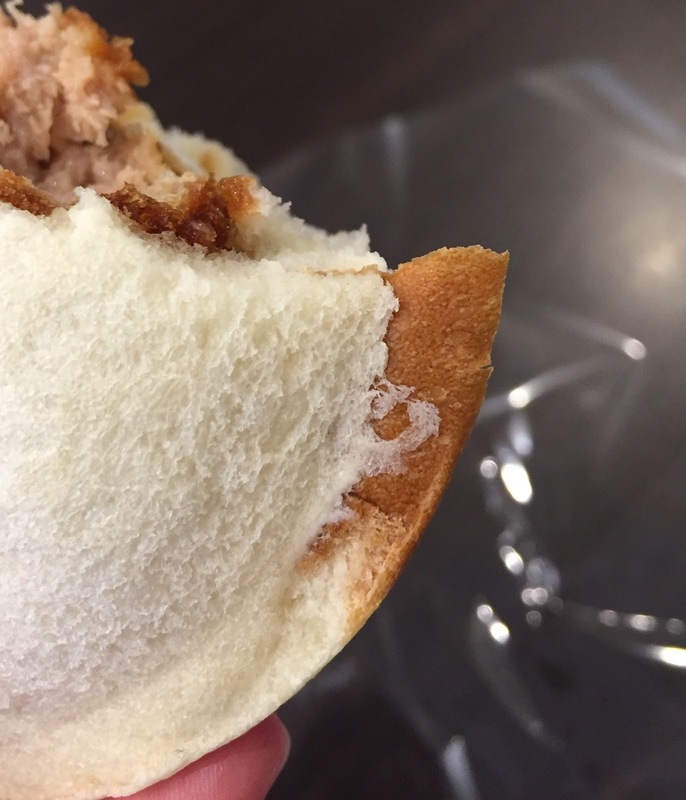 As the staff warned, the soft-and-runny egg yolk flooded out. Though it's a pork Menchi Katsu, it didn't have pork odor and the sweet fat was not too greasy. The egg yolk helped it taste mild, too. It's been a while since last time I had this fulfilling Menchi Katsu. The sandwich bread was soft and moist, and the brown part is the crust. They said it's also good when it's warm, and I'd love to try the warm version next time. As I mentioned above, each location uses different ingredients and iron branding, and I'm interested in trying other Pocket Sando, too.